It's official - Pokémon Black and White versions will have not one, but two follow up games. Instead of the traditional single sequel that combines the Pokémon and locations available in Black and White versions (which many fans dubbed 'Grey version'), the DS will see two direct sequels in the form of Pokémon Black version 2 and White version 2. 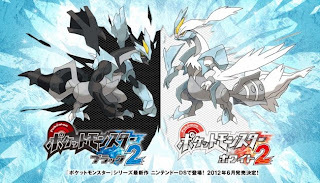 It seems the mascots for the games will be the two powered-up forms of Kyurem, with Zekrom-derivative Lightning abilities and Reshiram-derivative Fire abilities respectively. Not much else is known at this point, but I would personally like to see some new locations in Unova, whether they choose to expand the existing world or set the game in an entire area of Unova previously unexplored. I will be very interested to see if the game will allow players to carry over Pokémon from Black and White versions from the outset, or if (as with most merged sequels) the game will ask you to choose a new starter. When I was planning my various top five lists for this year, most of them leaned toward the video game side of my blog. While I still plan on posting at least one top five list per month, some months (like this month) will see two lists. For February's anime-related top five, I decided to revisit one of my all-time favorite franchises, the king of mecha, Mobile Suit Gundam. I have not viewed every single series in the franchise in their entirety, but I have seen all of the opening and endings at least once. 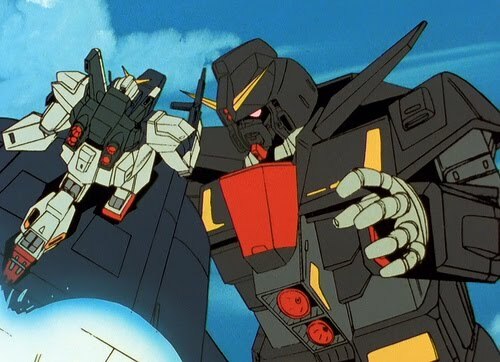 I've decided that I will only allow one intro per series, so the likes of SEED Destiny would be a bit more constrained than, say, Zeta Gundam. These top five are my favorites not just because of how catchy the themes might be, but also because of how well I feel they reflect the mood of each respective series. #5) Victory Gundam - "Stand Up to the Victory"
Victory Gundam is sort of an odd duck, as it presents the harsh realities of war through the eyes of innocent Uso Evin. 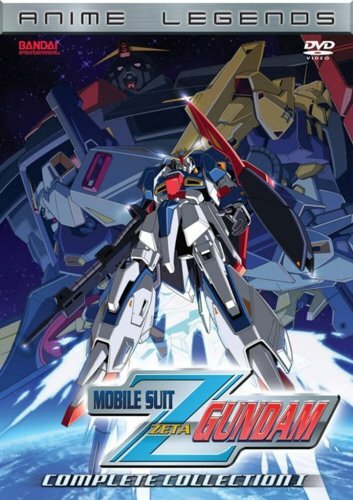 The intro theme harkens back to the original Mobile Suit Gundam with its chant-style lyrics. It's certainly an exciting intro theme, though the 'dirty' guitar riffs sort of tie it back to the more adult theme of the series. #4) Gundam SEED - "INVOKE"
The first Gundam series to be digitally rendered, Gundam SEED is a lot about flash and flair. While the story gets stuck in some cheesy pitfalls during its second half, it's still a series that is a lot of fun to watch. This theme echoes many of the intro themes that preceded it, but takes on an identity all its own. 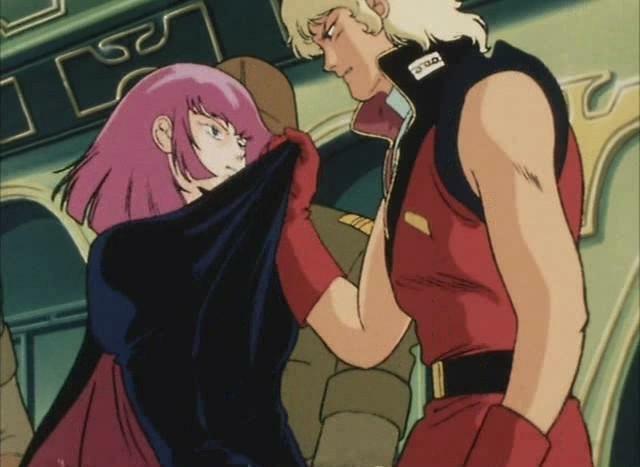 #3) Zeta Gundam - "Mizu no Hoshi e Ai wo Komete"
A bit more mellow of a tune than the other entries on this list, I feel this song embodies the tragic tale that Zeta Gundam turns out to be. Though I love Kamille Bidan, Lt. Quattro, and practically every other character in Zeta Gundam, not all of their hopes and dreams become realized before their time has come. #2) Gundam 0083: Stardust Memory - "The Winner"
This is the essence of classic nineties rock. It has a goofy electronic undertone, a singer with soul, and a bit of a repetitive drum part. But I love every minute of this tune. It's a great parallel to Kou Uraki's hopes to become a strong enough pilot to take on Anavel Gato. 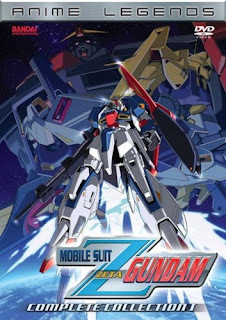 #1) After War Gundam X - "Dreams"
The only tune more rockin' than Stardust Memory's "The Winner" belongs to one of the most overlooked, most underrated Gundam series. I think this song suits both the sort of post-fallout world where the story unfolds, as well as Garrod Ran's antics and aims as one of the most entertaining lead characters in any of the Gundam series to date. The most recent episode of GT.TV over at Gametrailers.com features an interview with Matt Tieger of High Moon Studios. Tieger details some of the changes from War for Cybertron to Fall of Cybertron, explaining that the campaign will not be split between Decepticons and Autobots like it was last time. Instead, there will be one single campaign, with each mission focusing on a different Transformer. The gameplay highlighted seemed to confirm a sort of squad-based design for when controlling Bruticus, in that players can control Bruticus himself or take control of one of the smaller bots that make up his body as they separate to take on enemies up close. Perhaps the most intereting bit of information that Tieger reveals is that Metroplex, the city-sized Autobot, will be present in the game, and that Optimus will have the ability to control this giant Transformer. No footage of this in action is shown, but I am curious to see how that will play out once the game finally hits store shelves this Fall. 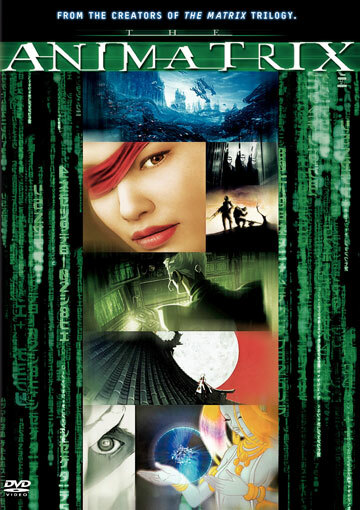 The Animatrix is a series of short animated stories from the Matrix storyline. They are supplemental tales introduced around the same time as The Matrix Reloaded and The Matrix Revolutions to accommodate for the expansions to the franchise. In keeping with my review of Halo Legends, I will be providing each individual anime entry with its own rating (out of a possible five ranking), and then providing an overall rating for The Animatrix as a whole (which will be out of the standard ten-point ranking system I use). Please note that the overall rating is not an average, rather a rating based on how well the sum of the Animatrix's parts work together in delivering stories and expanding the universe of The Matrix. 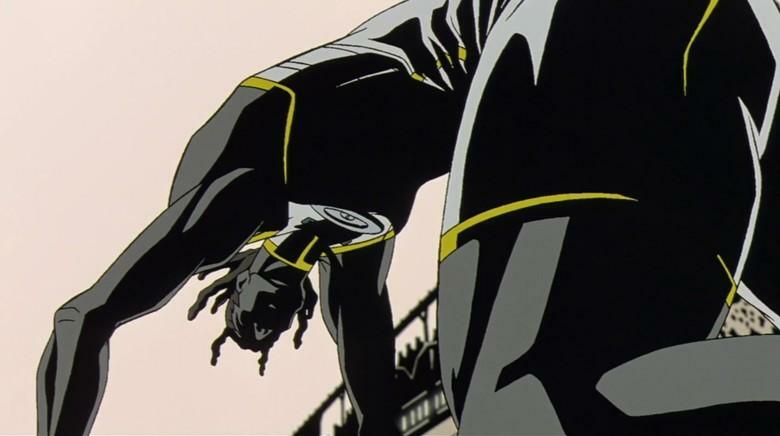 For the most part, The Animatrix does a wonderful job of expanding the borders of the Matrix universe. It offers many a fresh take because it is not afraid to revisit the familiar in bold new ways, ala A Detective Story, World Record, and so on. In breaking away from the Neo-centric formula of the films, the storytelling becomes much more adventurous and, in most cases, quite a bit stronger. And it certainly doesn't hurt that the animation for each is ahead of its time.The weakest moments show through when stories revisit the all-too-familiar, which are thankfully few and far between. 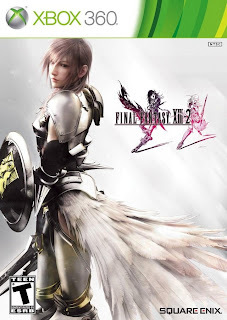 Final Fantasy XIII-2 is not as original as the first entry in the Fabula Nova Crystallis series, but still seeks to explore possibilities by integrating JRPG elements both new and old. The game opens with Lightning trapped in a realm known as Valhalla, a place where time does not flow naturally. Her attempts to hold powerful rival Caius at bay prove challenging, though she seems to be holding her ground well enough. From an opening in the sky falls Noel Kreiss, a human from the end of days. His wishes for a miracle brought him to Valhalla, and, knowing the threat Caius poses to the goddess Etro, Lightning sends Noel through time to find her sister Serah. After a brief exchange, Serah explains to Noel that she seems to be the only one who remembers that Lightning survived the fall of Cocoon at the end of Final Fantasy XIII, and Noel confirms her memories, informing her of Lightning's whereabouts. The two then set out to correct a myriad of paradoxes in hopes of restoring the 'true timeline'. 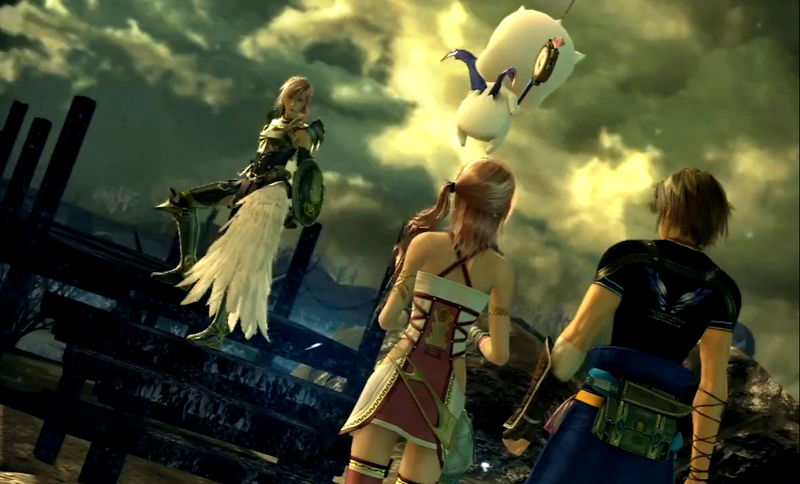 The gameplay is largely retained from FFXIII, with the battle system controlling in an almost identical manner. There are, however, a few small changes that go a long way. Serah and Noel are the only two human party members players will have control of throughout the entirety of the game. While both are granted three roles to begin with, leveling these up with crystogen points with present the opportunity to unlock all six roles, as well as bonus boosts and increases to both the ATB gauge and the equipment they are able to carry. Monsters can now be tamed and leveled up via special materials that can either be earned after battles or purchased with Gil. Each monster is allotted a single role (a Zwerg Scandroid is a Ravager, a Cait Sith is a Medic, etc. ), but players can have three on call at any given time to work into their Paradigms. XIII-2 jumps into the action pretty quickly, giving quick refreshers for veterans/tutorials for newcomers. For the most part, XIII-2 feels like a title made for those who played XIII, but it is not so quick to entirely alienate anyone who missed out on the adventures of Lightning, Snow and company the first time around. The crystarium has been streamlined, as each new improvement means a level increase for the respective character/monster. The improvements now also list the number of crystogen points required to level up. The fact that only the Commando, Ravager, and Sentinel roles are available early on can prove a tad frustrating, especially when coupled with the fact that certain monsters are area-specific. But a few hours in, that aspect smoothes out. Some battles are followed up with a Cinematic Action, wherein players will interact with certain command prompts. These behave similarly to the interactive cutscenes in the more recent Resident Evil games, though they do not have significant negative repercussions should players miss the prompts. The game is still one of the prettiest releases on current-gen consoles, which is no surprise, considering it is a Square Enix property. The environments designs see as much variety in aesthetics as they do in different layouts. From the overgrown forest of the Sunleth Waterscape, to the wide open fields of the Archylte Steppe, to the futuristic technological cityscape of Academia, every level presents players with new visual treats. 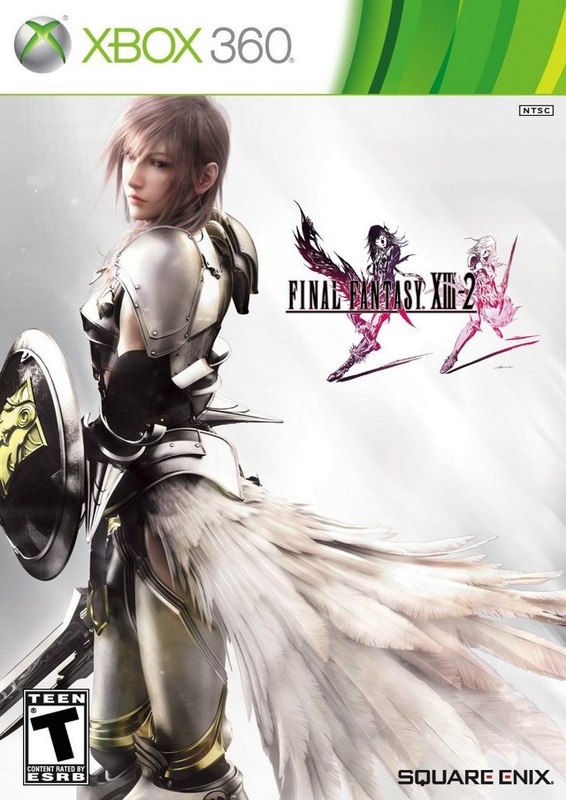 The soundtrack is the most varied and experimental of any Final Fantasy to date, presenting traditional orchestrated tracks alongside techno tunes and borderline-death metal. Despite this great break away from the familiar, it all fits pretty well, save for a few tracks whose vocals throw off the vibe of their respective levels. 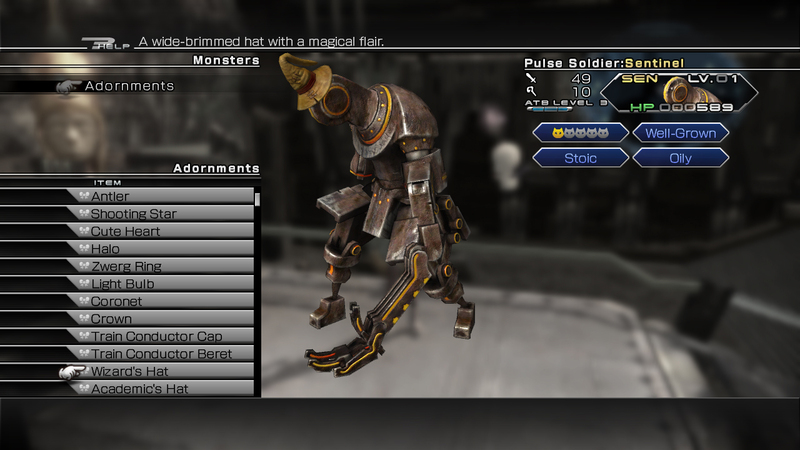 The minigames, a longtime staple of the more traditional Final Fantasy games, have returned following their absence from FFXIII. The quiz game is entertaining enough, and will test players knowledge of both XIII and XIII-2. 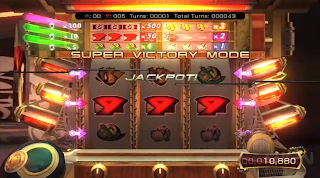 But the bulk of the minigames are found in Serendipity, a casino-themed level entirely devoted to distractions and earning coins to spend on prizes. The lack of engaging minigames among the very few that are presented will easily turn players away from its colorful setting. The sidequests riddled throughout the multitude of levels, however, prove much more varied and enjoyable. The fragment rewards and crystogen point bonuses also act as sufficient incentive for players to seek out one after another. A few puzzle elements have been worked in, though nothing quite so cleverly devised as anything a Legend of Zelda title or even the Final Fantasy: Crystal Chronicles spinoffs could muter up. Instead, FFXIII-2 offers three styles of puzzles, dubbed 'temporal rifts'. The easiest require players to connect matching jewels in a constellation shape before the clock runs out. The second challenge players to determine the correct path to take while collecting crystals, but at the same time do not allow them to retrace their steps. The trial-and-error aspect of these make their design seem rather trivial, but at the same time helps the RPG from derailing from its core gameplay. The third type of temporal rift comes in the form of a clock. These require players to figure out the number of spaces the hands must rotate in order to clear all of the numbers. If the hands of the clock land on an empty space, the puzzle resets. It sounds a lot more simplistic than it really is, especially when you take into account the increase in numbers as each stage of the puzzle progresses. These are all randomly generated, and players may find themselves turned off by their inclusion - not just because they require careful plotting, but because of how lethargic they feel in comparison to the rest of the game. Prior to Final Fantasy XIII-2's release, Square Enix touted that main villain Caius Ballad would be among the most challenging bosses in the series history. While this is true, his fight can prove rather easy if players grind for experience points. 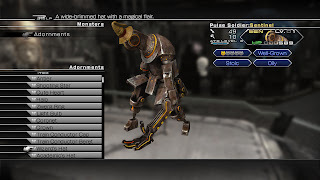 Compared to many previous Final Fantasy titles, grinding in XIII-2 is incredibly easy - in fact, most players will likely find themselves at higher levels than necessary without really trying to seek out extra battles. Taking a few wrong turns in Academia 400AF or encountering wild creatures in the Archylte Steppe can easily merit significant boosts to their crystogen count. 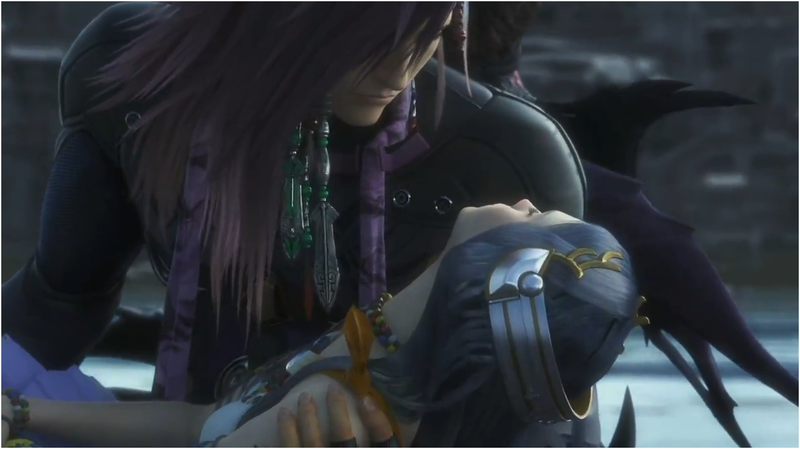 The game's ending is in keeping with the much darker tone the sequel carries over FFXIII. It's also an insulting conclusion to the solid storytelling that builds up the entire experience. This, combined with the DLC that is already being released, leads to some heavy implication that they basically released an incomplete game. So many of the game's weak points are exposed late, which may leave a distinctly sour taste with players who otherwise enjoyed this sequel. When all is said and done, many players may find Noel Kreiss among their favorite Final Fantasy characters. His story in genuinely compelling as part adventure through time, part tragedy in being one of the last humans left at the end of time. Serah is not nearly as memorable, though her inclusion is certainly a step up from her role as a convenient plot device in FFXIII. 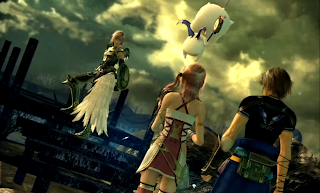 Mog serves as a cute, often goofy sidekick, while Lightning takes a backseat for nearly the entire game. There are many familiar faces, and their stories all play out in a fitting, if not somewhat predictable way. Hope is easily the most interesting of the NPCs, though resident villain Caius and seeress Yeul present compelling enough expansions to the Fabula Nova Crystallis realm. 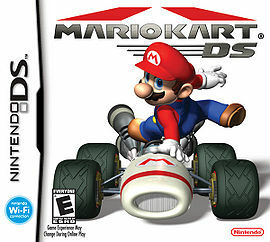 #5 - Mario Kart DS: Let's face it, it's kind of hard to make a list like this without bringing up at least one of the Mario Kart games. However, I am only including one of the games from this series on this list due to how critical I tend to be in my approach to each entry in the series. Mario Kart games are great fun all around, but there are some that I don't care for as much as others. I got my start on Mario Kart 64 which, great game as it is, hasn't aged quite as well as some of the more recent releases. Mario Kart Double Dash should be recognized for exploring interesting new territory but, as a whole, I felt the Gamecube one was the weakest of the bunch. The reason that Mario Kart DS ranks as my favorite in the series is because of the tracks available. Since none of the Mario Kart games have any real story to speak of, the tracks often serve as a make-or-break deal for me. There are some really creative aesthetics coupled with nice variation in the layout of the tracks, with Luigi's Mansion, Delfino Square, Waluigi Pinball, and Tick-Tock Clock being among the most noteworthy mentions. The retro tracks are a solid bunch too, with the likes of Frappe Snowland, Banshee Boardwalk, and Yoshi Circuit rounding out the package. Not to mention that the controls are very smooth - props to Nintendo for sticking to what we already know works and not messing up the controls by trying to implement much from the touch screen. #4 - F-Zero X: Back in the day, I used to rent as many N64 games as I could from Blockbuster, and F-Zero X was among those. I didn't rent this one as frequently as Pokémon Snap, Ocarina of Time, or even Snowboard Kids, but it stood out to me, even at a young age, for a few key reasons. First off was the over-the-top futuristic racing scenario. As a kid, I simply thought it was a cool concept. Today, I realize how much of a different racing experience it provides, with the potential for sliding around turns, knocking other racers out of your path, or even the unfortunate plummet off the track into the abyss below. Second were the track designs and racer stats. Anyone's who's played this game knows how you have to be ready for whatever the next course is about to throw at you, and this can lead to a lot of trial-and-error approaches early on. The racers proved a solid progression system. You won't have access to anything spectacular to start with, but the default racers are well-balanced and give you a chance to get a good feel for the game before you take that next step up in difficulty. 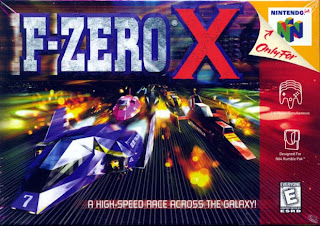 F-Zero X is a very nontraditional Nintendo game in a lot of respects. It's not gushing with mature content, by any means, but the heavy metal and techno tunes coupled with the ripped t-shirt-clad menu girls implies this is a racing game for the teens on up (both were kind of edgy back in the day). It's a challenging game - there are times when the slightest of screw-ups can send you hurtling to your death, forcing you to restart the race (as I experienced more than a few times on the pipes of Big Blue) - but that's just the way I like it. 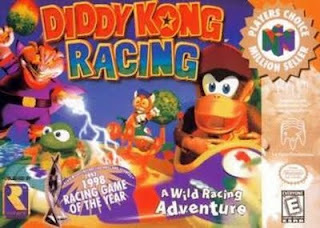 #3 - Diddy Kong Racing: This was an easy pick for me, and not just because it was the first video game I ever owned. Diddy Kong Racing is a kart racer, and a darn good one at that. It's not the same as Mario Kart, despite the fact that both games are host to a cast of characters from across various games. Diddy Kong Racing has something of a story to it. It's by no means the greatest storytelling you can find in a video game, but the way Wizpig and adventure mode acted as the core of the experience gave me a reason to want to complete the main game. The major worlds are host to four tracks and one mini-game each. Each world has a different theme, and the tracks explore different styles in which said themes could be approached. For example, the Renaissance-themed Dragon Forest dishes out a haunted forest, plains riddled with windmills, a castle, and a medieval village. Some tracks proved vehicle-specific, or at least more friendly toward one vehicle over another. They are not frequent, but courses that force players to use the hovercraft or the jet end up as some of the best-designed of the bunch, and can certainly help in learning to master these alternative vehicles. The items are another highlight. As opposed to Mario Kart's greater variety, Diddy Kong racing takes to a stacking method. By collecting a single red balloon, players can fire a missile. Or, they can choose to wait and grab another red balloon to upgrade to a homing missile. It presents an element of careful strategy not always explored in kart racers. And man, do those items come in mighty handy when you're taking on any of the game's five bosses (because they're all pretty challenging). 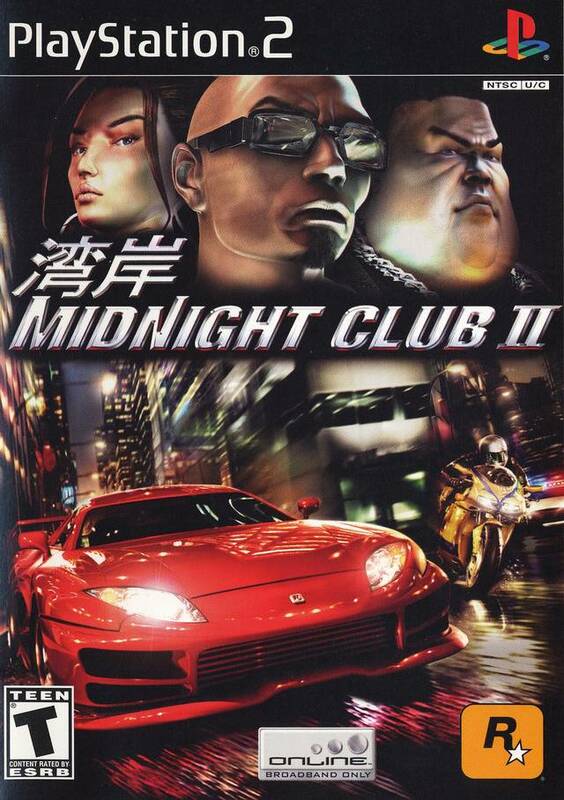 #2 - Midnight Club II: This is a game that breathes atmosphere through every nook and cranny of its three overworld cities. From Los Angeles to Paris to Tokyo, the game presents you with a superb variety of race variants. There's the tried-and-true races against multiple AI opponents, there's the series of scattered checkpoints, and there are instances where you have to outrun the police (you are street racing illegally, after all). There's even one mission where you are the unwitting accomplice in a plot to spread bombs through the Parisian catacombs. What makes this game so memorable is not its selection of excellently rendered automobiles, which range from the classy and sporty to the suped-up and decked out. It's not the controls which are so fluid and perfect for the PS2. All of these certainly help the overall package to reach greater heights, but the soundtrack is the definitive reason to play this game. Whether you are punching the turbo to beat your opponent to the finish line at the last minute or simply free-roaming in cruise mode, the experimental techno and hip-hop tracks from Thomas Bangalter, Felix Da Housecat, patientzero, 8-Off Agallah (to name just a few) act as the soul of the experience. #1 - Hydro Thunder: "Three!...Two!...One! GO, GO, GO!" 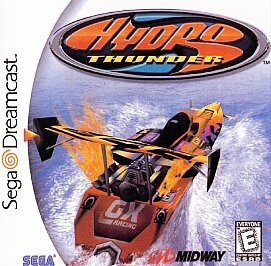 If F-Zero was the hyper-futuristic equvialent to a car racing game, then Hydro Thunder is essentially the same to boat racing. I can't say that I've played many boat racing games - I don't think that there are that many around, and I don't imagine there are many noteworthy mentions among the bunch. But Hydro Thunder stands out to me for a lot of reasons. On the more simplistic side of things, the game is gorgeous to look at, regardless of whether you are playing it on the N64, Dreamcast, or Arcade. It's not that the graphics look incredible by today's standards - far from it. But the whole aesthetic appeal of surreal environments of each track combined with space-age boats immediately immerses you in the experience. Breaking down the particulars, though, Hydro Thunder requires time and patience to master. While each course has its boost locations, figuring out the best time to use them can draw a fine line between first and last place. There's also the matter of shortcuts and jumps to improve your ranking. Despite its age, the game's controls are still surprisingly fluid, and offer an experience that does well to balance the realistic elements of boat racing with the ridiculous angle of strapping rockets to the back of your machine. The different layouts of each track keep you on your toes at all times while also providing enough space for you to maneuver in the water. 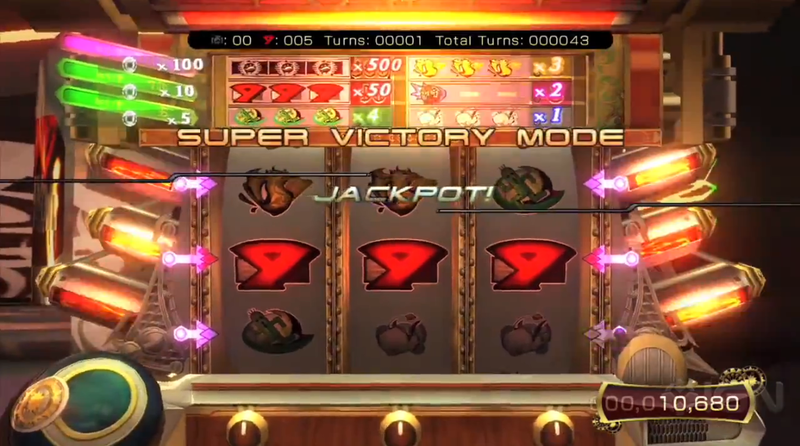 All in all, the game has a very arcade-style feel about it, whether you're actually playing the arcade version or one of the console releases.